Richmond Times Dispatch on Sunday, April 22, 2018. Here's the LINK to the Mission Matters radio interview I had with Karen Worcester, executive director of Wreaths Across America. As President of the Hanover Book Festival, I invite you to join 35 local Virginia authors at the Hanover Book Festival on April 27th from 10AM to 2PM. This event takes place at the Times Dispatch Building (8460 Times Dispatch Blvd., Mechanicsville VA.
And yes - I will be there selling all of my books. Hope to see you there. 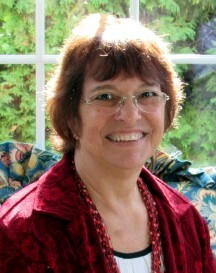 I'm JoAnn Meaker, born in Brooklyn, and raised on Long Island, New York. I lived in Ontario, an eastern suburb of Rochester, NY, for almost 30 years, where I taught gifted and talented students. After retiring, my husband and I moved to the Richmond, Virginia area to get away from all the lake-effect snow and be closer to my grandchildren (and their parents). I developed a love of history later in life and have become completely enamored with learning about the Civil War era in particular. I volunteered for many years with the town of Ontario's Historical and Landmark Preservation Society and was the organization's president for six years. During that time I was instrumental in organizing several Civil War re-enactments at the Society-owned Heritage Square Museum. When the town of Ontario celebrated its bicentennial, I worked hand in hand with the town's historian and wrote Images of America: Ontario published by Arcadia Publishing in 2007. This book features over 200 pages of images from the history of the town of Ontario, New York in Wayne County. While researching for my books, I've traveled to many of the Civil War sites mentioned in the books, searched museums, libraries, spoke with town historians, and spent hours on the Internet. I love to read, research the family history, and do needle craft. Spending time with the grandchildren is a joy, and teaching them to love history is a goal. Interested in learning more... check out the other links on the site, and sign up for email notifications.